It's time to throw away your shoeboxes! This compact size Cropper Hopper Photo Case holds up to 864 4"x6" photos and will also accommodate 4"x7" or panoramic size photos. 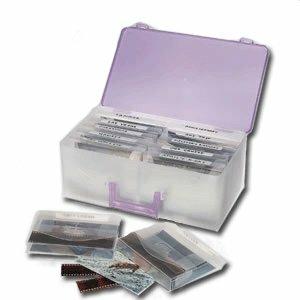 This excellent photo storage case comes with twelve 4"x6" photo / negative protectors.